This is a beginner’s guide on how to earn with Neobux. I first heard about NeoBux 2 years ago. After using it for few weeks I thought it would be impossible to earn significant income when you only earn a penny per click. I had no NeoBux education or NeoBux strategy and so I started to look for it on Google. It took me a while but I found an online NeoBux Strategy Guide that explained how to properly rent referrals and to begin to view NeoBux as a business not just a “paid to click” site. It was a simple but good guide that turned the way I look upon PTC sites in general. In the following NeoBux Strategy Guide, I will share with you the basic principals of renting NeoBux referrals, how to manage your NeoBux referrals, how to have FREE Direct NeoBux Referrals added to your account automatically, and other NeoBux Tips & Tricks. Established users may find some of the information trivial, but new NeoBux members will find most of the data critical to their success. Every NeoBux member should read the guide as I have developed solutions for many of the common issues that ‘NeoBuxers’ have. NeoBux is a PTC ( Paid To Click ) service where members earn a small amount of money for viewing ads. It is 100% legitimate and NeoBux is possibly the #1 premier PTC site on the internet. Advertisers on NeoBux are fully aware that members are being paid to view the ads, so it is a fair system to all. How do I earn money with NeoBux? Commissions paid to you from RRs ( Rented Referrals ) – explained later in Part 3. Commissions paid to you from DRs ( Direct Referrals ) – explained later in Part 4. If you are willing to put a small amount of time each day, and you follow this guide, you should be able to make well over $1,000 per month spending less than 30 minutes each day. Some users make several thousand dollars per month with the same time commitment. It will not happen overnight, but with some diligence, this is certainly an achievable goal already reached by many of the NeoBux veterans. If you have not already signed up for NeoBux sign up here. This NeoBux strategy guide is not only educational, but also a complete free guide to help all NeoBux users get FREE Direct NeoBux Referrals. Something to think about… if you have 200 DRs but they are uneducated about NeoBux and quit, you won’t make money from them! My goal is to help you acquire ACTIVE NeoBux referrals so that you make more money. Typically, educated referrals are active referrals! In Part 2 there is one goal needed to be completed. In my opinion, the first two weeks are “make it or break it” with NeoBux users. Sadly, a lack of education will cause many to leave, but you are in the right place to avoid missing out on this great opportunity. It is critical that you view EVERY ad assigned to you during this period so that you can remove the limits from your account and be eligible for DRs as soon as possible. You need to be a member for 15 days and have 100 ad views to remove the limit. TIP: View ads by logging in and clicking the “View Advertisements” button at the top of your page. TIP: NeoBux has notifier toolbars for various internet browsers. They are not AdWare. They simply tell you your balance and when new ads are available. You are not going to earn much during the first two weeks, that’s a fact Jack. 15 days * approx. $0.04 / day = $0.60 … Trivial as it may seem, $0.60 is your 1st goal. TIP: If you are able to complete mini jobs, you can reach Goal #1 within a day or two! If you are interested in a small jump start and have even just a few dollars to invest into your new NeoBux business, there are instructions in Part #3. However, the 15 day requirement before you are eligible for DRs will still take (you guessed it) 15 days. Congratulations, you just graduated from Kindergarten! Now, in part 3 you have three goals to complete. It’s a big deal to make it through the first 15 days. A lot of people quit before this point… and guess what, this is where the fun begins! You’re gonna do just fine! Once you have at least $0.60 in your NeoBux account (even if the 15 days are not up yet), you have enough to rent 3 referrals. As mentioned above, you can “jump start” your business by investing a few dollars of your own and begin renting Neobux referrals sooner. According to the TOS: “If you click at least 4 advertisements being a Standard / Pioneer member or you click at least 9 advertisements being a Golden member, you’ll receive all clicks made from your referrals.” In other words, if you do not click the 4 required advertisements, you won’t earn income for your referrals for that day! TIP: The required ads are the “Standard Exposures” [Green] and “Fixed Advertisements” [Yellow/Gold] … though you should always view every ad available anyway. Goal #2 – Rent 3 referrals by clicking the “Referrals” button on your account home page. Goal #3 – Turn on “AutoPay” within the Referrals->Rented menu. TIP: There is a discount applied when using Autopay as well, yet another good reason to use it! The following week you will have enough to rent 5 more referrals (now you will have 11 RRs) for a total of $0.26 / day. The week after that, you will have enough to rent 10 more referrals (now you will have 21 RRs) for a total of $0.46 / day. At the end of the 4th week from when you rented your first RRs, you will have enough to rent 19 more referrals (now you will have 40 RRs) for a total of $0.84 / day. Continue viewing your assigned advertisements each day so that you can earn your rented referral income, and when you save up enough money to rent more referrals, get them! The more rented referrals you have, the more you will make. I recommend choosing a day of the week for rentals, and on that day rent as many as the funds in your NeoBux account can afford. 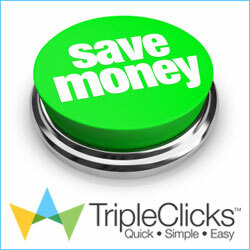 TIP: 300 RRs * 4 RR-clicks at $0.005 per click = $6/day … It will take about two weeks to save up $90 for Part 5 . Once you have 300 referrals, stop renting, save up $90 in your NeoBux account. I will explain this more in Part 5. Part 4 has one goal needed to be completed. There are many ways to acquire DRs… YouTube, Facebook, word of mouth, forum signatures, AdWords, and a list of places towards the end of the guide! These are all valid and I encourage you to use any marketing skills that you have to promote your NeoBux business. Check out the new How to get Neobux Direct Referrals guide! It is filled with great info about how to get direct referrals. This guide can be a powerful tool for you to get free direct NeoBux referrals without spending money or much time getting them! Not only that, but NeoBux referrals that sign up using the guide are more likely to understand how to use NeoBux properly… this will make you more money and help them be successful as well. It’s a win-win! TIP: You should do this as soon as your account is eligible for DRs! Now that you have 300 referrals in pat 5 you’ll need to complete 2 goals. Stop renting and save up $90 so that you can upgrade to Golden. Once you go Gold, you will double up your income nearly instantly since the payouts are 2x – 10x for your clicks and referral clicks! Once you’ve gone golden, begin renting referrals again. It’s tempting to cash out, but you really want to get to the maximum number of RRs and DRs so that you earn as much as possible. Goal #7 – Build your RRs to 2000. Resume your rental process and acquire 2,000 RRs. This will not take too terribly long since by now you should be earning over $300 per month. TIP: When you go Golden, you will have to view 9 ads per day instead of 4! TIP: Check out some of the “Golden Packs” to gain more benefits from being Golden. At this point you are a true Spartan of NeoBux! Once you have saved enough to buy golden packs, do it so you can rent more RRs and gain more benefits. By now, you will already be laughing all the way to the bank so enjoy your new side job! Check out the new: “How to get Neobux Direct Referrals“ guide! It is filled with great info about how to get direct referrals. Mathematically speaking, the formulas used by NeoBux are set up for you to be successful, if you are committed to your own success. It is not difficult, but it takes diligence. Math does not lie, and it is not magic. The numbers speak for themselves. Life is full of people who will say anything to get what they want. Watch out for those people! NeoBux is not a get rich quick program, but you can certainly earn significant additional income if treated like a job/business. The examples used in this guide are accurate, however you should understand that not all of your RRs will give you 4 clicks everyday… some will give more, some will give less. So in that sense, the examples are accurate, but your experience will vary a little. Obviously I cannot promise you wealth, but I can guarantee that you will earn money with Neobux if you follow this guide!